Fall is here to stay and it’s time to bust out the slow cooker and make the easiest (and if I’m being really honest…) the only soup I make! I snarfed this recipe from my mom years ago and I always double it up to take to Soup Sundays at our church. All it requires is a bit of time to ground the beef and a can opener! Just fry a package of ground beef , rinse the beans, drain the corn, and add all canned items to the crock pot with the juice and taco seasoning with the cooked ground beef – voila! Simmer on low all day or on high for the afternoon. Easy peasy, just the way I like it! Fry some ground beef, throw the rest of the ingredients in the slow cooker and let it simmer all day letting the aroma of taco seasoning fill your house all day! Stir and simmer on low for the day. If in a hurry, cook on high for 4 hours. Serve with grated cheddar or Tex Mex cheese and can garnish with sour cream and crushed tortilla chips if you please! 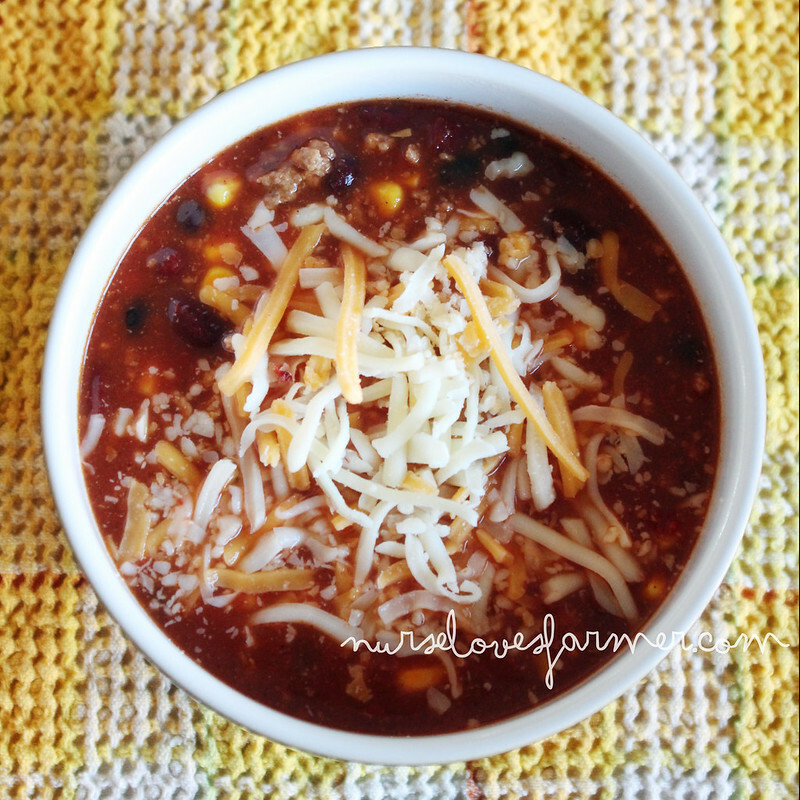 Hope you enjoy this easy, hearty recipe! Looks delicious! 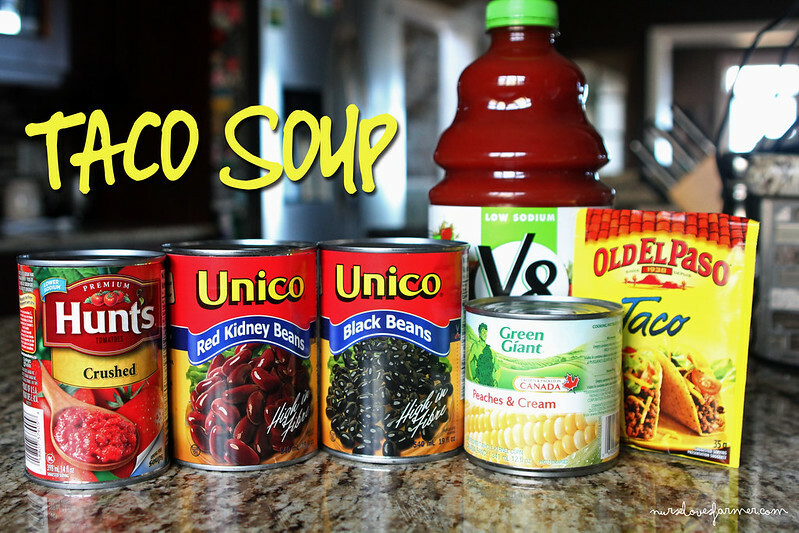 We make a slightly different variation of taco soup, I may have to try this one out to shake things up a bit :). What do you put in your taco soup? Maybe I need to shake mine up! I use 1lb hamburger, 1 lb sausage, onion (cooked with the meat) 2 Rotel, corn, can green chilies, Taco seasoning, ranch seasoning and kidney beans :). It's Lance's favorite meal and SO EASY!